The Nau Mukhi Rudraksha is a virtual incarnation of Shakti as represented by the nine manifestations of Goddess Durga also known as Navdurga. 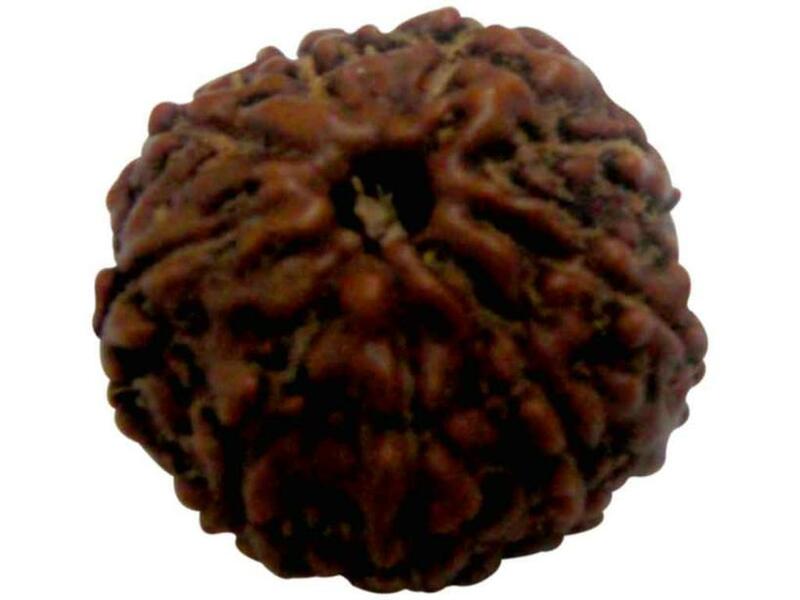 If you are a devotee of Shakti, the Nau Mukhi Rudraksha is certainly meant for you. Wear it especially during all the nine days of Navratras when you fast on all nine days to achieve divine grace, blessings, wealth and general prosperity in your family. Vedic legend has it that the potency of the Nau Mukhi Rudraksha is significantly enhanced when it is worn by devotees during Navratras after pooja archana so be sure to order your Nau Mukhi Rudraksha bead well in advance of the upcoming festival season. Wear it throughout the year to energize yourself and lead an action-oriented and productive life blessed by Goddess Durga herself. The Nau Mukhi Rudraksha is a product of natural origin and therefore may vary slightly both in terms of color and texture. Each Rudraksha bead has been bestowed with additional powers by our astrologers through pooja, mantras and ceremonious rituals. The product ships with “vidhi” instructions which are also available on our website’s home page in the Articles section. The Nau Mukhi Rudraksha is elegantly crafted from rare and pristine Rudraksha trees found in the foothills of the Himalayas and other parts of the country and represents artistic craftsmanship at its finest. We will deliver your Nau Mukhi Rudraksha in five days through courier and we will inform you not only when your order is placed but also when it is shipped from our location. Please feel free to write or call any time for more information about our delivery procedures, about Rudrakshas or any of our products and services.